Located on Brentwood Boulevard, The Villas at Brentwood combine a prestigious address and the ambiance of a hideaway nestled among the trees. 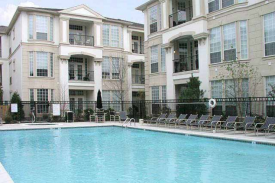 The Villas at Brentwood is surrounded by the three most prestigious neighborhoods; Clayton, Ladue and Richmond Heights and is minutes away from upscale dining, entertainment and shopping. 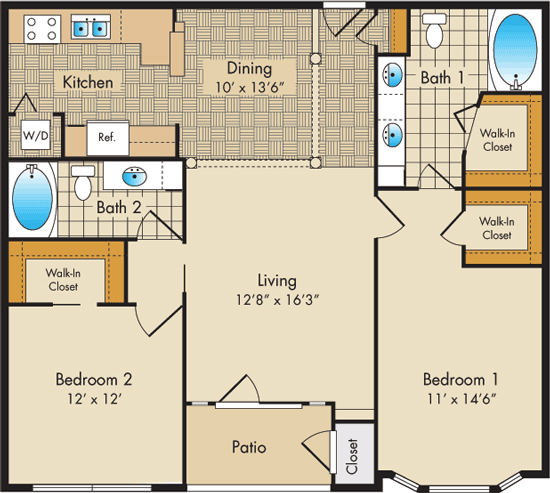 1 Bedroom - Floor Plan A, 664 sq. 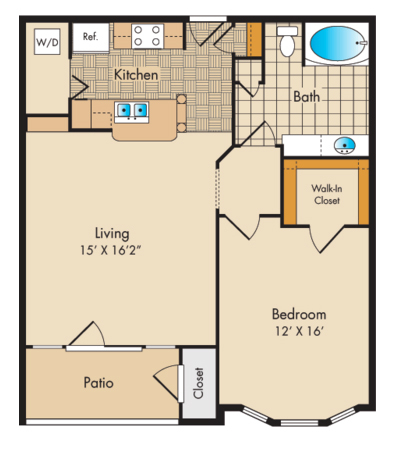 ft.
1 Bedroom - Floor Plan B, 787 sq. 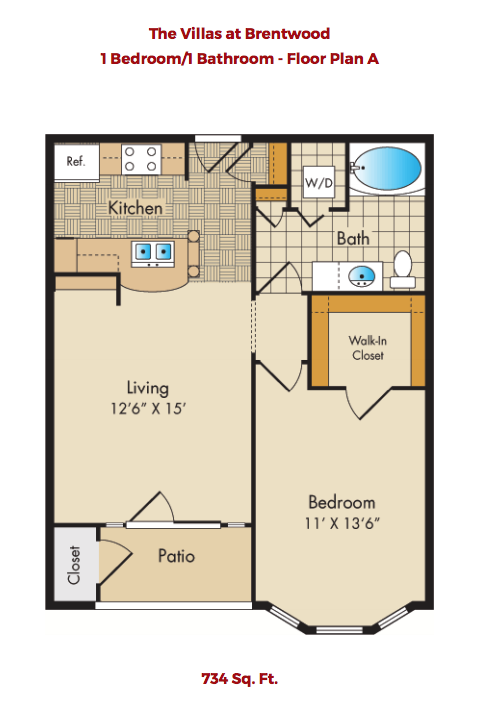 ft.
1 Bedroom w/Study - Floor Plan D1, 1,033 sq. 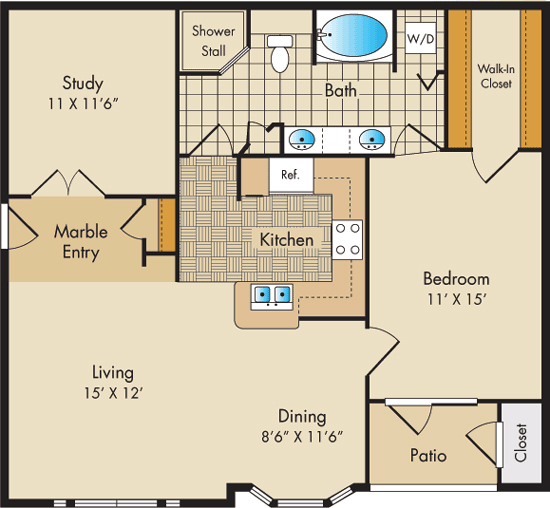 ft.
2 Bedroom - Floor Plan D, 975 sq. 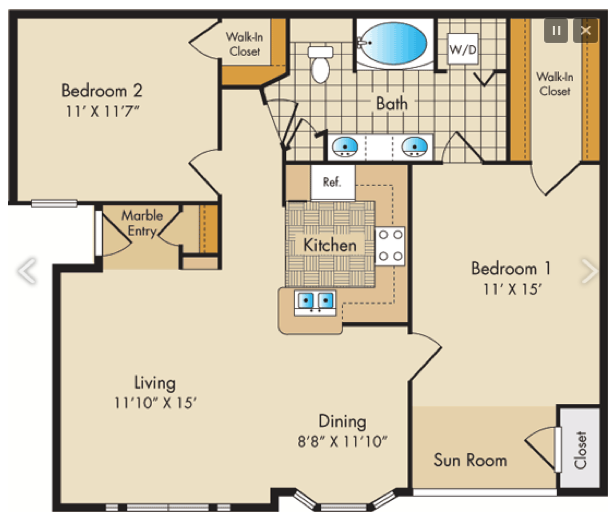 ft.
2 Bedroom, 2 Bath - Floor Plan F, 1,240 sq. 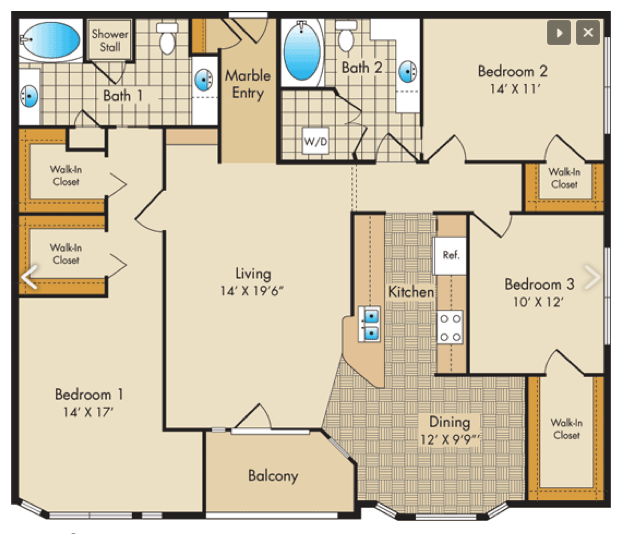 ft.
3 Bedroom - Floor Plan G, 1,595 sq. ft.